I made these for a party we threw last week, and I think they were a hit! Until we ran out of triple sec…Note to self: Never run out of triple sec again or your party is ruined (not really, but serious buzzkill). 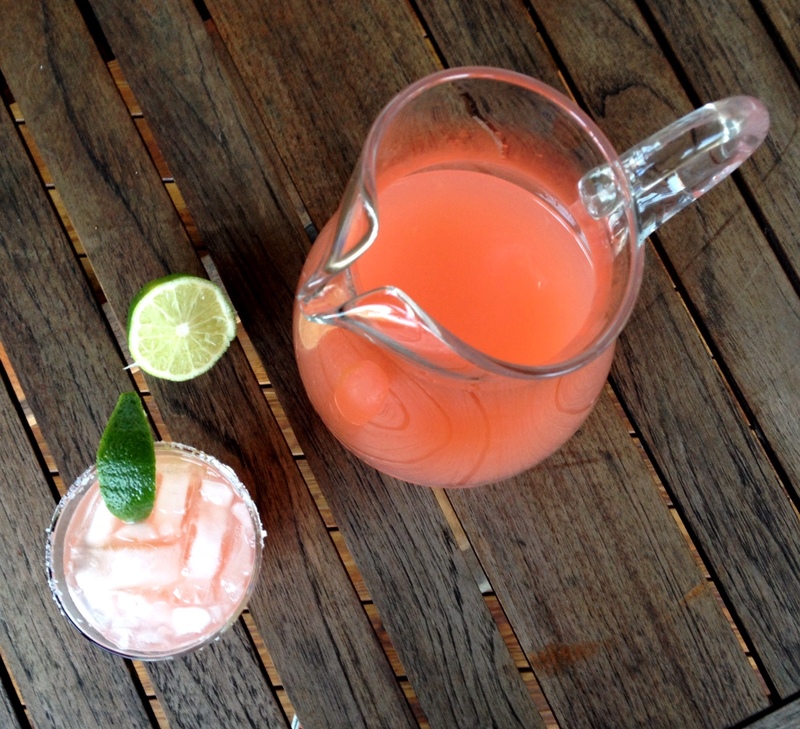 Any drink that you can make in a giant pitcher is a winner in my book…Because entertaining is hard enough, you don’t want to be shaking up cocktails one by one, do you? Part of me thought this drink was too summery to serve at our fiesta – pink, fruity, and tons of tequila. That screams summer to me…but I’m always eating grapefruits in the winter, so suddenly this drink just made sense to mix up. I was tempted to make the easiest margaritas ever, but I’m happy I found something a little different, and seriously just as easy! Ina’s recipe calls for you to bust out the blender – but I just mixed everything together in a pitcher and it was still excellent. I have never been a big fan of blended margs and getting out the blender is too much work and too much of a mess when you are hosting a party. If you like your margaritas with a salt rim, rub the lime around the edge of each glass and dip the rim lightly on a plate of kosher salt. Set aside to dry. 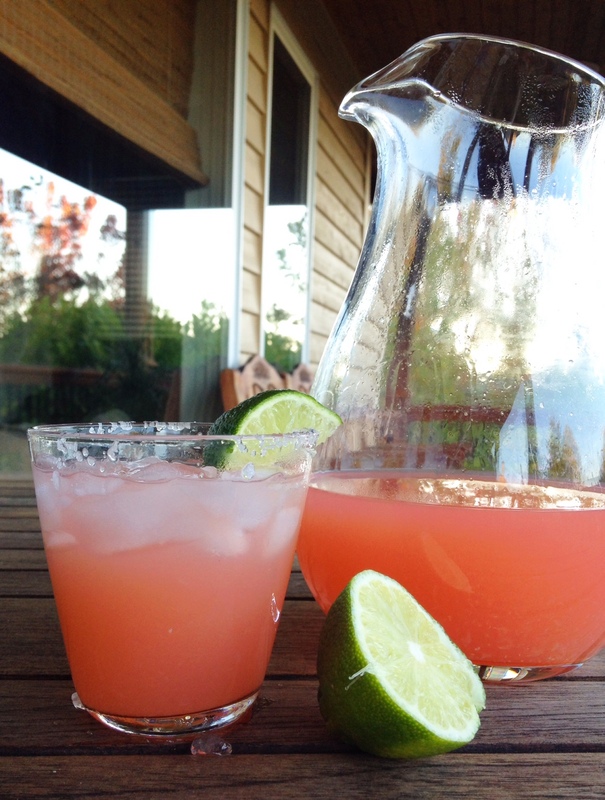 Combine the grapefruit juice, lime juice, orange liqueur, and tequila in a large pitcher and stir. Add ice to glasses, pour in the margarita mixture, and garnish with a lime slice! Killing me!! You better make me a whole pitcher when i squeeze this baby out! I will make Chrissy a couple of pitchers if she brings her beautiful baby down for a visit!